My first statement: just when you thought things were f**ked up it just gets worse. 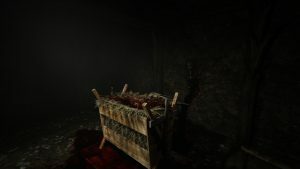 Red Barrels, the original development team of the Outlast series, has released the second installment of the series on April 25th on Xbox One, Playstation 4, and Steam and if anyone who has played the first installment (along with the Whistleblower DLC) you already have a massive awareness of what this company can do to make people poop their pants. You play as Blake Langermann who is traveling with his wife, Lynn, who are investigating the mysterious murder of a young, pregnant woman who was found along a highway in Arizona. Naturally, they are journalists who are looking for the answers surrounding this bizarre death which leads to a helicopter ride that results in a crash, which is where Blakes story begins. Separated from his wife, Blake must make it through cult land to find her. Welcome to Temple Gate, a hidden community founded by Sullivan Knoth that is ready for the end of times and you are now one of the primary targets that must be taken care of, cause the community believes that you are the yokemate of the womb that carries the Anti-Christ. The gameplay mechanics share a lot of similarities to how the original Outlast game played (first person spooks) with a few key changes that make this experience different from before. One of the first things that has changed is how the camera functions. 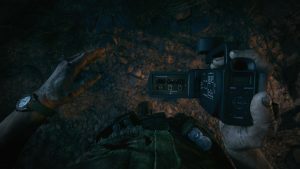 As the most important tool in this game series, the camera documents the horrors that are slowly uncovered; it Outlast 2, the camera now has a microphone function that allows you to listen to noises around you and track enemies’ paths. Be careful with this feature though as it massively eats battery life. The ‘menu’ is a bit different as well, you have two front pockets that act as your inventory so you can see how many batteries you have for your camera and how many bandages you have because healing is now an option. When you document significant events with the camera, you can go back and review the footage on the camera to get Blakes commentary on what he has just seen. Something that has increased the difficulty and heightened the spooks is that when you sprint to hide from an enemy, you begin to lose stamina increasing your chances of getting caught and inevitably f**ked up. When you are getting away from enemies you now have the option to lock doors to give yourself some time to hide, but be careful because the doors can be busted down. With these new features, Outlast 2 stays true to its delivery of terror with a truly messed up story and the sense that you are never safe. Playing this game, the story line was intense and you are introduced to some new enemies that are persistent in their pursuit of you and get frisky (in a super uncool way) with some decorative axes. 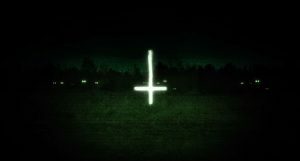 While there is some repetitiveness in the game, it is worth the play for the scares and to understand what the FLUFF is happening with this cult. I would recommend this to those who are into some adrenaline and gory, jacked up, WTF stuff.